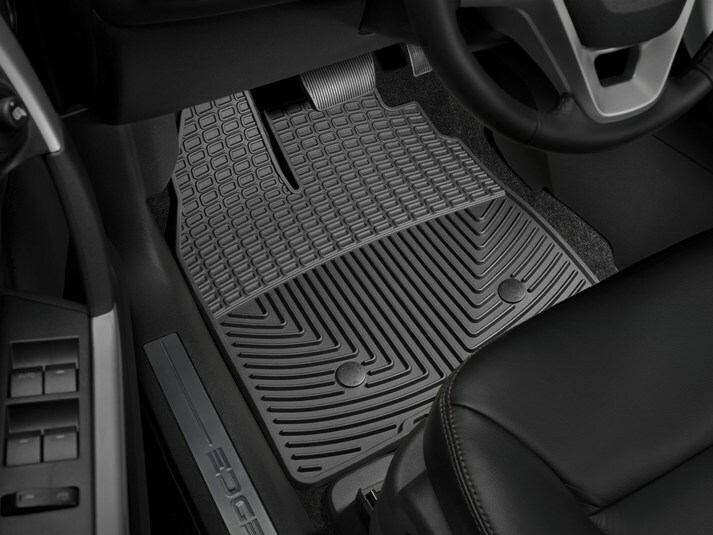 All-Weather Floor Mats were intended to give the best possible protection for your 2011 Ford Edge's floor. Many of our front and rear mat applications are model specific, while others are assigned as the best possible fit for your 2011 Ford Edge from our many shapes and sizes. Some rear mat sizes are designed to be trimmed so that they may be customized to fit almost any vehicle. My husband bought these for me for my Edge. At first I thought they were ugly but soon learned to love them! I had a very large cup of soda from mcdonalds in my cup holder and when I turned a corner the cup fell out and went into the passenger floor. Needless to say the lid popped off and spilt all the soda. Not to worry though! Came home and wiped it out with paper towels then popped out the weather tech and hosed it off!! Saved my carpet! They are worth every penny! Love them for winter also. Keeps all the salt and mess off the carpet!!!! Needless to say I love mine!! WOW WHAT QUICK SERVICE AND SHIPPING. PERFECT FIT ON MATS. ALSO PURCHASED WINDOW DEFLECTORS - HIGHEST OF QUALITY AND AGAIN EXCELLENT SERVICE!